Teacher Playground: PicLits...Better Writers here we go!! 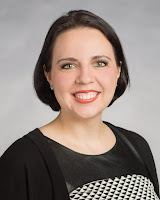 I wanted to blog on a site that I recently learned about called PicLits. I can't believe I didn't find this site sooner. As an educator we are always working hard to increase our students' vocabulary and help them become better writers. I love this site and what it has to offer a learner. This site is great for elementary, middle, high school, and post secondary. 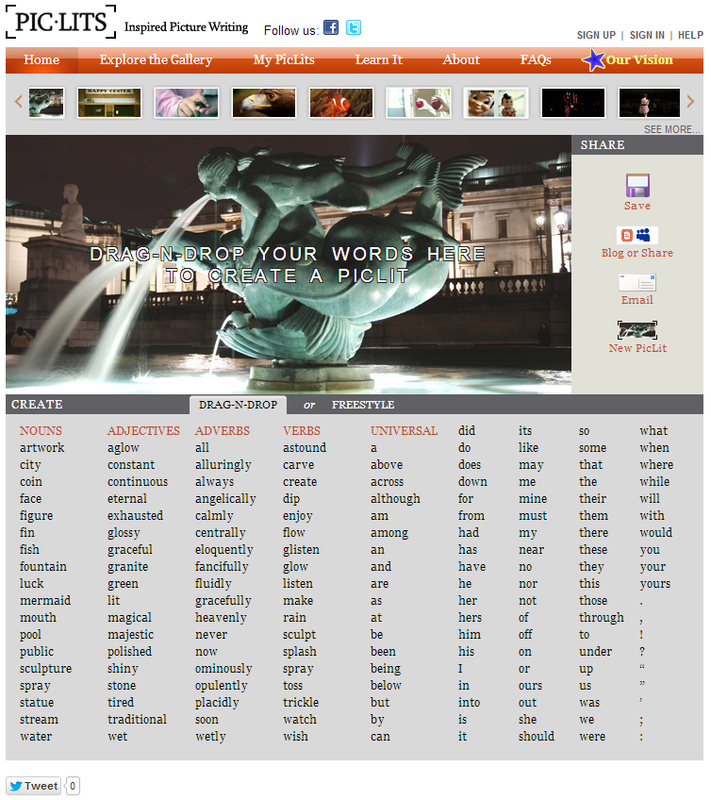 PicLits is a creative writing site which provides images and word banks to generate sentences about the picture. 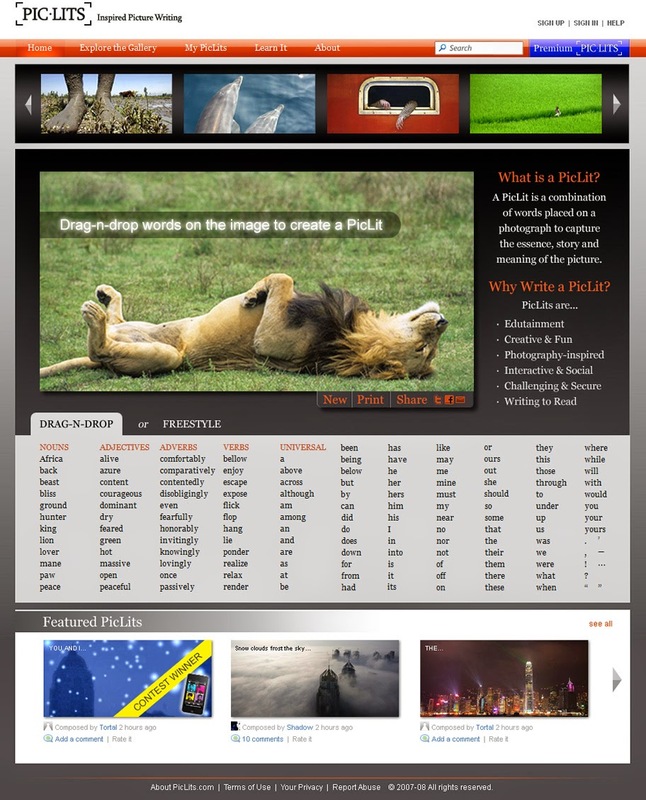 The vision of PicLits is to provide learners with a combination of words placed on a photograph to capture the essence, story and meaning of the picture. Image what your students can do with this and where they can take their writing. Far away places? To the sea? On a boat? In the sky? Your students have the option to choose words from the word bank by dragging and dropping them into the photo. There is also a "freestyle" option as well. 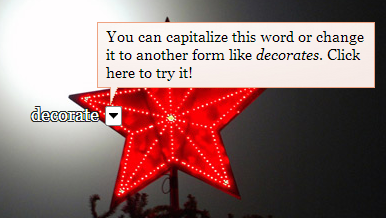 As the words are dragged and dropped onto the picture, the website allows the option for capitalization, punctuation, and various tenses of the word. I love that they didn't forget about grammar and punctuation.